You cannot write a universal resume that will help you to get any job you want. Every position requires certain approach to resume writing. There are many resume writing formats, but you should also remember that at any level of your career you should write a specific resume. Our resume writing service will help you overcome the lack of experience. It is not important what program you are applying for – Ph.D., MBA or student summer internship program. 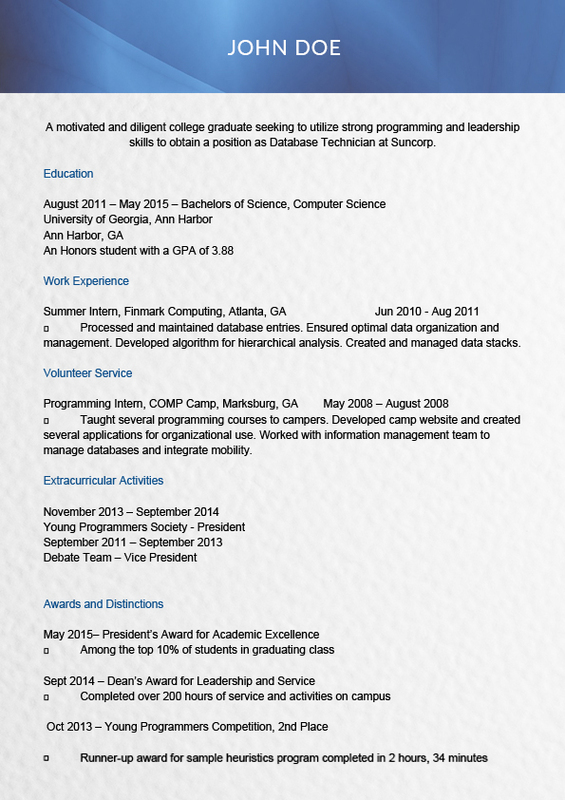 Resumewritingservice.biz is a well-known resume writing service that can help you get your first job. We will not just write an entry level resume for you but help you with interview coaching sessions. Our resume writing service will open huge opportunities for the development of your career and provide you with a perfect entry level job resume. Don’t neglect your email address: using your long standing email address of hunkyguy4U is not going to really impress your potential employer. Create a new address that is relevant and professional to the jobs that you are targeting such as ProjectmanagerLA1@gmail.com so as not to damage your application in any way. Provide your target job title: even if you do not currently hold a position ensure that you title your resume with the job title that you are looking to gain. This will not only help you focus your writing and the expectations of the recruiter but also help when it comes to database searches on various websites. Provide a performance summary, not career objectives: the recruiter does not care what you want to do; they want to know what you are capable of. Show that you have the necessary skills to meet their top few requirements that they are looking for within the advertised position. Use keywords: think about what the recruiter will look for when searching for suitable candidates for a position and ensure that those words and phrases are within your resume. Do not however overuse the words as it may look like manipulation or spam. For example if you are looking for a project management position they may be looking for mentions of “PMP” within your resume. Thanks to you I’ve got my first job! Your student resume writing services are professional and effective!